Hiland Water continues to work in and around the city of Shady Cove. 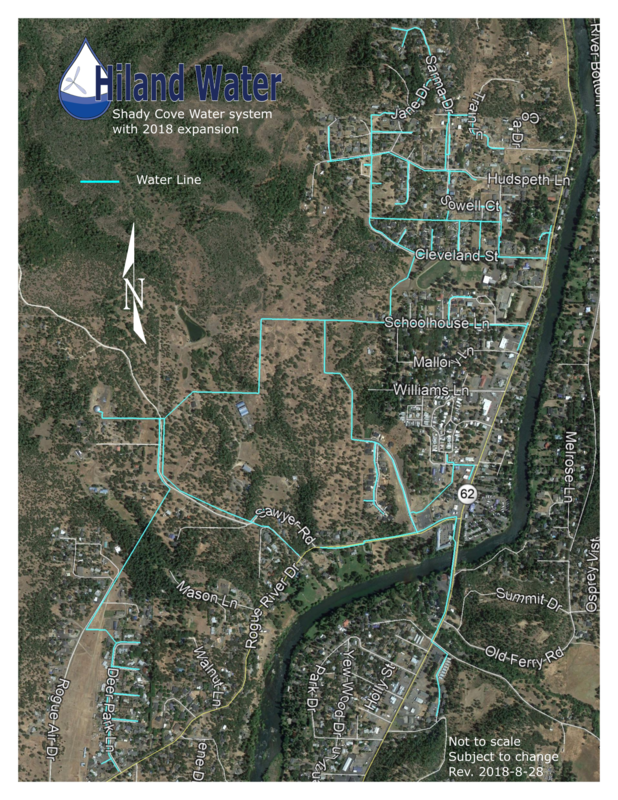 Please contact Hiland Water Corp if you are interested in partnering with Hiland Water to bring safe, reliable water into this beautiful area in Southern Oregon. Water Service Request - If you are looking for water service in the Shady Cove area and are looking to see what Hiland Water can provide for you, please fill out the form found here. We will get back to you with information on moving forward. Our current survice area - Our survice area is constantly growing. The map below is a reference, but may not contain the latest updates. Please contact the office if you have specific questions. Info on the blog - We will update the progress being made in the Shady Cove area on the blog. You can access it here.